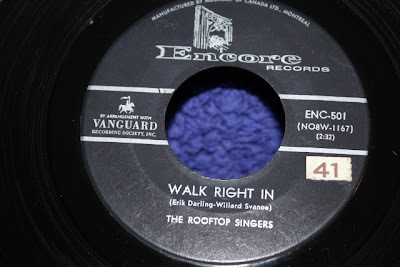 Maritime Vinyl: The Rooftop Singers - Walk Right In! 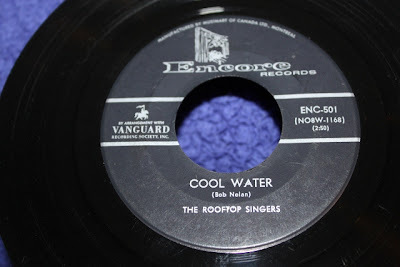 The Rooftop Singers were a folk trio in the 1960’s consisting of Erik Darling, Bill Svanoe and Lynne Taylor. They are most remembered for the single Walk Right In. Besides it just being their first big hit, it was also the first song they recorded together and the entire reason that they formed the group. 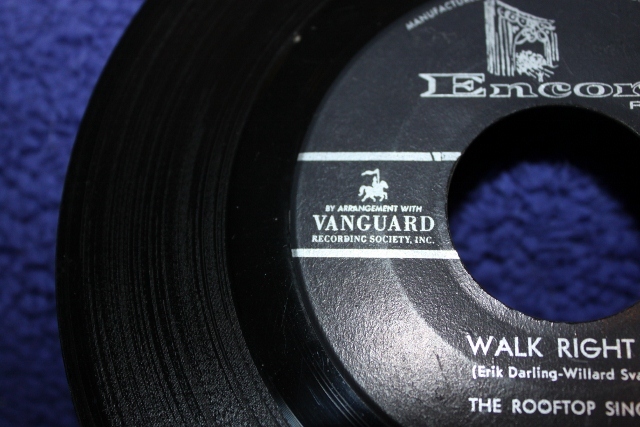 Erik Darling (formerly of The Weavers) liked the song Walk Right In which was written and originally recorded by Gus Cannon in 1929. He wanted to record his own version of this song adding harmony singing. This is the reason that he recruited Bill and Lynne, just to record the harmony for this single. The trio were a good fit and they went on to record a full album (titled Walk Right In). After the success of this single, The Rooftop Singers recorded a total of three LP’s before calling it quits: Walk Right In (1963), Good Time! (1964) and Rainy River (1965). Lynne was only involved in the first two albums and then was replaced by Mindy Stuart for Rainy River. The single Walk Right In (B side is a cover of the Bob Nolan song Cool Water) was released on Vanguard Records, an independent label formed in New York in 1953. It began as a classical label but evolved into other genres, and became a fairly big name in folk music. Vanguard released records from Joan Baez, Country Joe and the Fish, Ian and Sylvia, etc… Vanguard still exists today, you can check out their website at www.vanguardrecords.com. 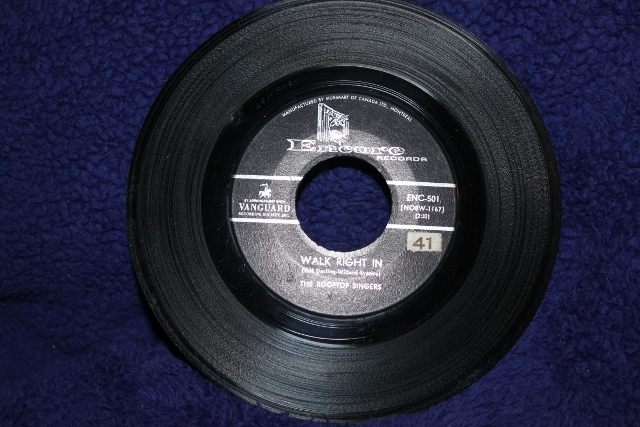 This copy of Walk Right In is on the shadow label Encore Records. On the label it says “by arrangement with Vanguard Recording Society Inc.” A shadow label (Encore) is a label that another label (Vanguard) made an arrangement with to press and release their records in another location (Canada). They are still technically original pressings, just pressed at a different plant and with a different label. This is a nice little piece of music history. The Rooftop Singers were short-lived and considered an early one hit wonder but regardless, it’s a great cover of a classic song. Check it out on the video below. This song was a huge hit at the time, it was even covered by the house band on Frank's Bandstand!